The book details how, after 9/11, the CIA contacted the mysterious Afghan-Mongol warrior to help US Special Forces wage a covert war in the mountains of Afghanistan that ended in a stunning victory. It sheds light on how the desperate Special Forces–Afghan cavalry campaign succeeded against all odds in liberating Afghanistan's holiest shrine and brought warriors from vastly different cultures together to fight their common Taliban enemy. 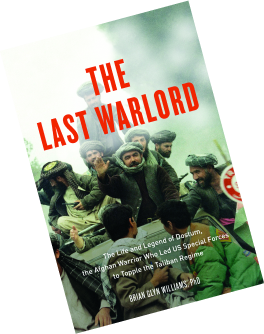 The Last Warlord shows that, far from serving as a mere backdrop for American heroics, it was the horse-mounted descendants of Genghis Khan that allowed the American military to overthrow the Taliban regime in just two months.